Moving through New York City's fast-pace, life often seems a blur. Yet, within this city, a group of people quietly seek solace by spending time with the dying. 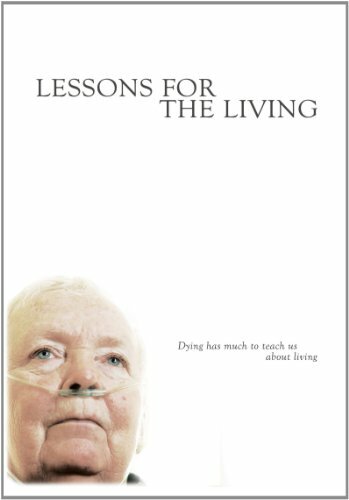 Lessons for the Living reveals a unique subculture of Hospice volunteers as they reflect on their experiences and philosophies of death. Among them, a teenager escapes from the drama of high school, a hard-edged corporate lawyer searches for meaning, a bi-polar man teeters on the edge of his own mortality, a shamanic healer finds peace in the hospice halls and a terminally ill woman faces her own death with unexpected humor and grace. As the baby boomer generation nears its end, this film offers us all a timely look at what it means to face death - whether it be our own or someone else's. Lessons for the Living shows that the dying have a great deal to offer the living. If you have any questions about this product by ThinPlace Pictures, contact us by completing and submitting the form below. If you are looking for a specif part number, please include it with your message.